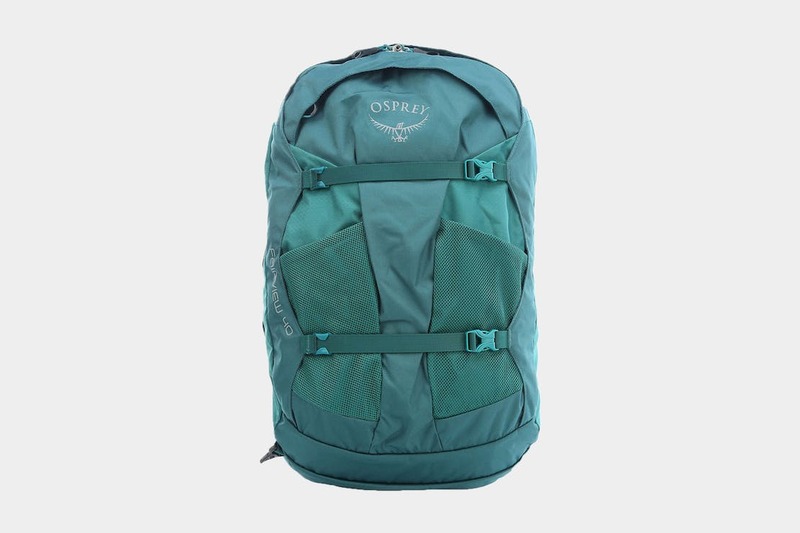 The Osprey Fairview is similar to their best selling Farpoint series, but designed with women in mind—and at 40L, perfect for one bag travel. 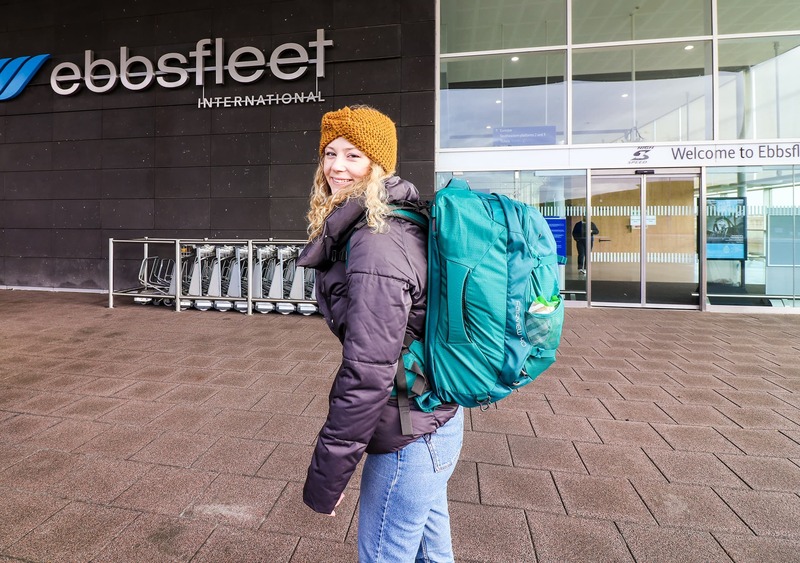 The Fairview is Osprey’s new travel backpack designed specifically for women, and considering we’ve already spent over a year and a half testing out the Osprey Farpoint, we were really excited to get our hands on this one! There are a lot of similarities between the Farpoint and Fairview, and a lot of stuff mentioned here echoes what we said in our full review of the Farpoint. 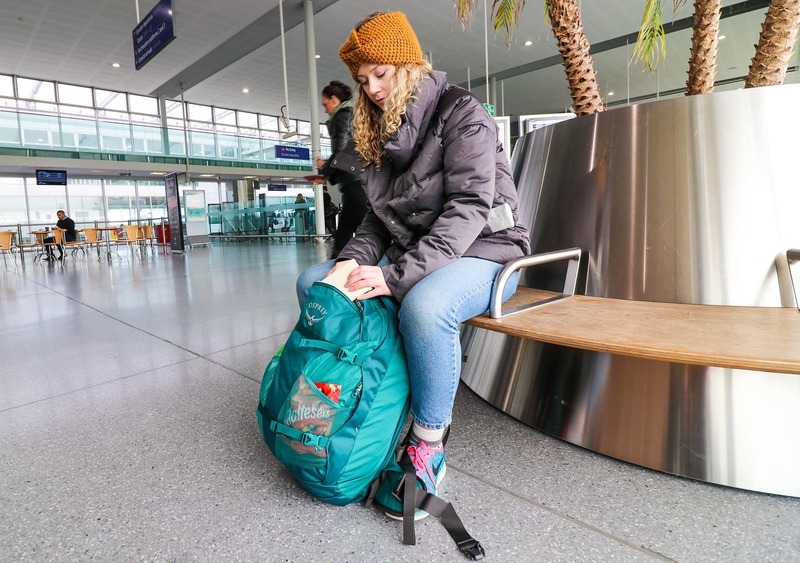 However, this is a women’s specific travel pack and a standalone product in its own right, so it deserves it’s own fully comprehensive review. 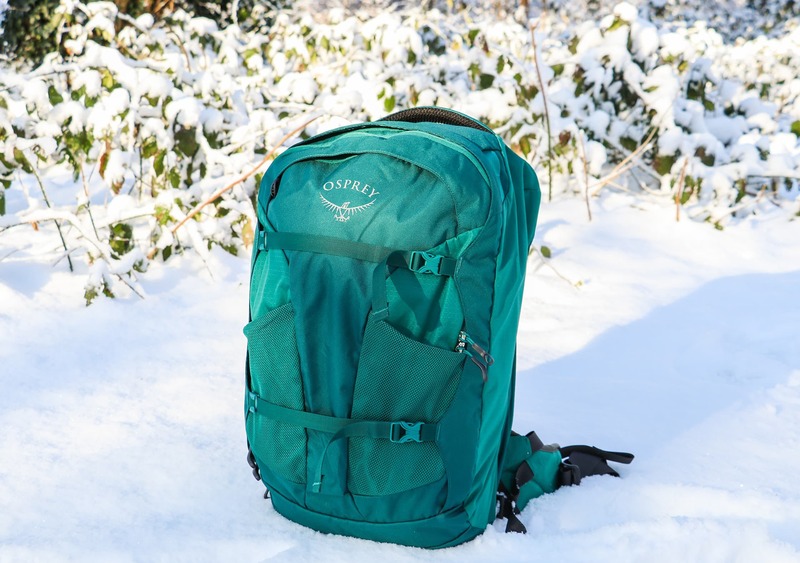 The Osprey Fairview comes in three different capacities, a 40L, 55L and 70L. We are testing the 40L version, which is the only one that fits within carry-on specifications—AKA, the best way to travel. The Fairview is only available in one Small/Medium size, which is fine for anyone under 6 feet. If you are over 6 feet, it’s possible the Farpoint may be a better fit for you as it comes in a Medium/Large size. Ever since the Fairview came out, Osprey now refer to the Farpoint as the ‘men’s version’ (interesting as it was marketed towards men and women at the time). We’re really intrigued to see just how different it can be now that it’s actually designed specifically for a woman. To put it bluntly, the Fairview 40 is not the most chic, fashionable bag around, but that’s why it’s sold as a travel backpack and not a fashion statement. This has some great advantages though—you’ll feel fine laying this thing down on the floor, with no need to worry about scuffs and dirt. This is not a bag you have to feel precious about, it’s built for travel and we love that. The Fairview 40 comes in two different colors, rainforest green and misty grey—Osprey does love a fancy name for their colors! We have to give Osprey credit for the colors of this bag, we really like them and we love the fact they didn’t fall into the trap of pink and purple for a woman’s bag. The colors are extremely practical too, they won’t show much dirt unlike lighter options. With the stand-out but subdued color of rainforest green and the cool blue highlights on the misty grey, these will look just as good hiking up a mountain or sitting in a coffee shop. This pack has a great lightweight peripheral frame, bringing the weight in at only 3.17lbs (1.44kg). At maximum dimensions, this bag is 21” (54cm) in length, 14” (35cm) in width and 9” (23cm) in depth. This is a pack that looks better full—when it’s half empty it just doesn’t hold its shape well, although the compressions straps do help with this a bit. The main material on this bag is ‘210D Nylon Mini Hex Diamond Ripstop,’ it’s pretty durable stuff and is designed to resist any possible tears and rips. ‘Resist’ is the key word however—though this Fairview has a clean bill of health after three months of use, the S/M version of the Farpoint (which is made out of the same material) did have some small knicks and tears in one corner after one year of testing. The ripstop material did stop those holes from getting any bigger though. The shoulder straps on the Fairview are slightly narrower, but just as padded. Most importantly though, they are shaped differently. As opposed to coming straight over your shoulders, these ones curve in and around, making it easier to carry. Several women on our team have reported that they needed to lock the sternum straps on the Farpoint just to keep them in place, even when the bag wasn’t overly heavy. The Fairview doesn’t have this issue, the way the straps are shaped to curve around a women’s body mean they aren’t always slipping off. The hip belt on the Fairview is also specifically shaped to better fit most women’s bodies— the curve is more pronounced, sitting better under your rib cage and over your hip. There also seems to be a tiny bit more padding on the Fairview. One change we have noticed on the Fairview is the way the sternum strap hides away. The Farpoint offers an elastic band to secure the sternum strap when not in use, whereas the Fairview has a buckle to actually lock it in. We’ve never found a need to use this—the sternum strap doesn’t seem to get in the way—but it’s a nice addition. 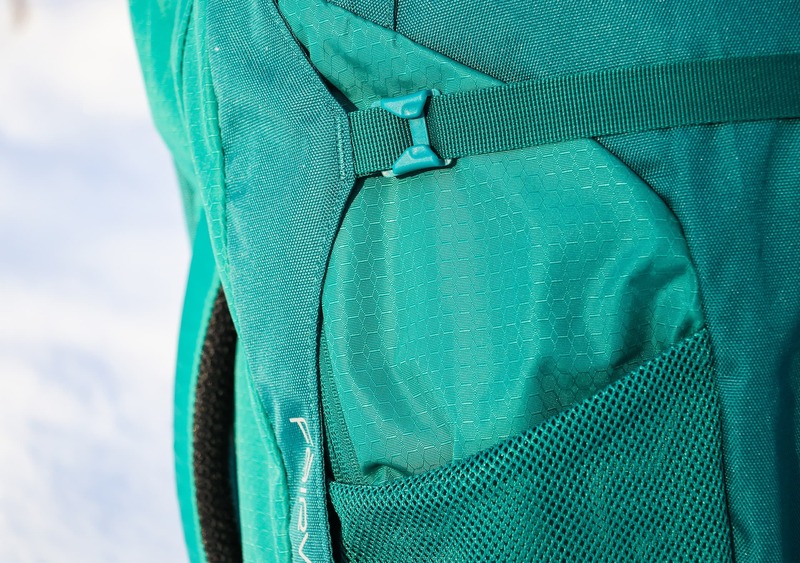 These differences may seem minor and somewhat insignificant, but after testing both the Farpoint and Fairview at full weight, there are noticeable changes in the way this bag has been adapted for women’s bodies. The hip belt sits higher, over the hips but still under the rib cage, and the shoulder straps curve around so that it’s better secured on a narrower frame. Every small adaptation from the Farpoint comes together to create a vastly different carry. 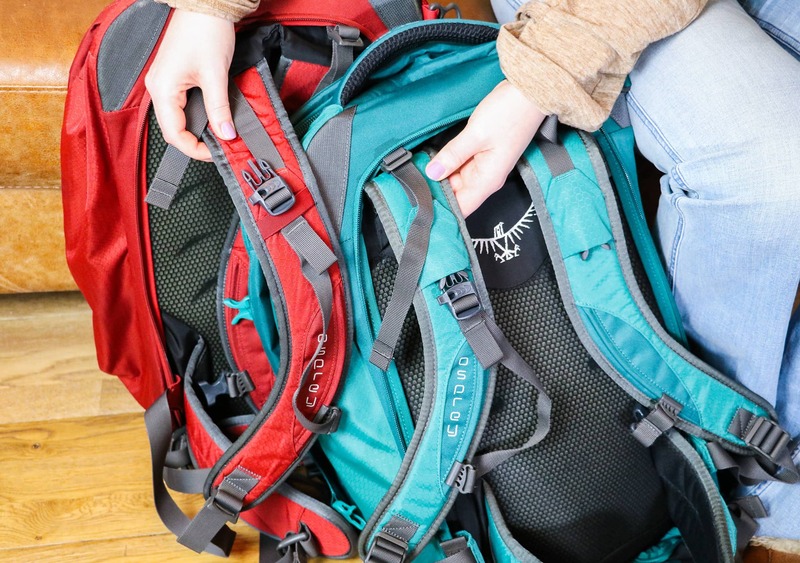 When it comes to clamshell bags like the Osprey Fairview, there’s few more important qualities than a good zip—luckily this pack has a big, chunky YKK 10 RC! The rest of the zips are all YKK too, so quality is assured. 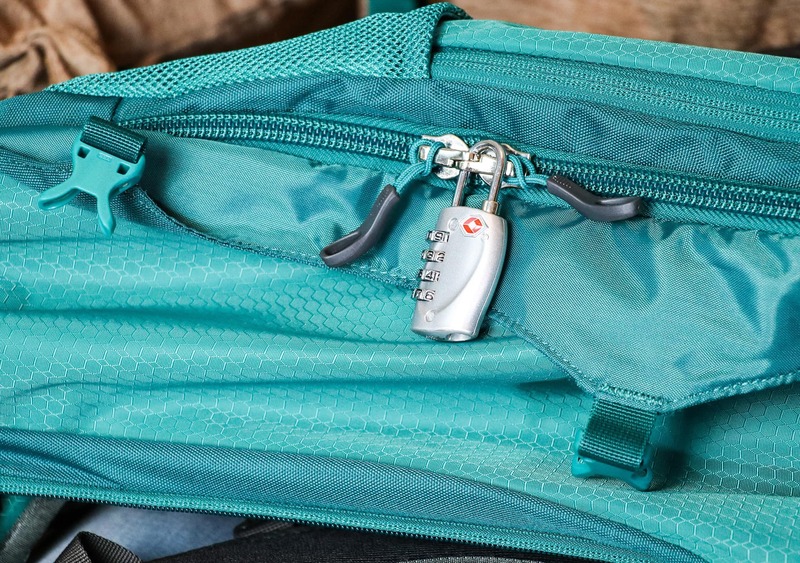 The main and front compartment zips are also lockable—they come together to provide a hole to slot your padlock through for some added reassurance. For extra security, the compression straps on the front of the bag secure the material over the zips, making them invisible and impossible to open fully. They also, of course, help with compressing the bag! The straps can be handy for securing items like larger water bottles and tripods in the front mesh pockets. These mesh pockets are really useful, the only downside being when this bag is full the space is quite tight—a slim tripod leg or packet of chocolates will fit in just fine though. 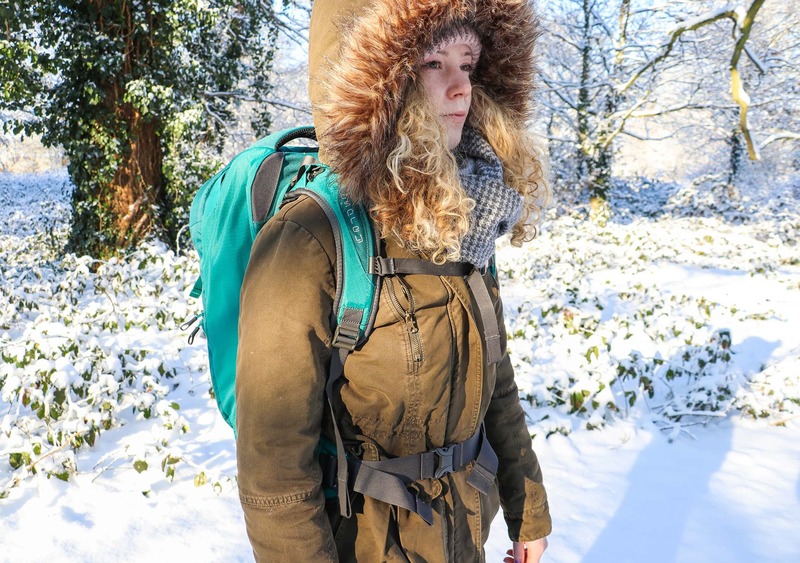 The Osprey Fairview includes a shoulder bag strap that you can attach to the outside of the bag by clipping it on to two external loops, but you’re better off carrying this pack on your back. It is a backpack, after all. This thing is just too big and heavy at full capacity to use as a shoulder bag—but it’s there if you want to. The shoulder bag strap is separate to the main straps and when not in use you can pop it inside the bag, or just leave it at home. The two unused loops left on the outside of the bag when the shoulder strap isn’t attached however does leave a bit of an aesthetic penalty though. One of our favourite things about this bag is the hideaway strap system. This function allows you to zip away both the shoulder straps and hip belt—which is perfect for when you’re stowing this bag away on a plane or train. The whole system is really simple—just unravel the material at the bottom of the bag, secured by velcro, and zip it all up. The zips around the back don’t stick out when not in use either—we’re looking at you Minaal carry-on 2.0. Some other bags like the Chrome Macheto and Tortuga Homebase have a system where you unbuckle the straps and slide them into the pocket—this works well, but there’s something about having every strap entirely zipped away that we quite like. Both systems can work well if done right and the Fairview does a great job here. The main compartment of the Osprey Fairview opens up fully and you can fit a boatload of stuff in there. 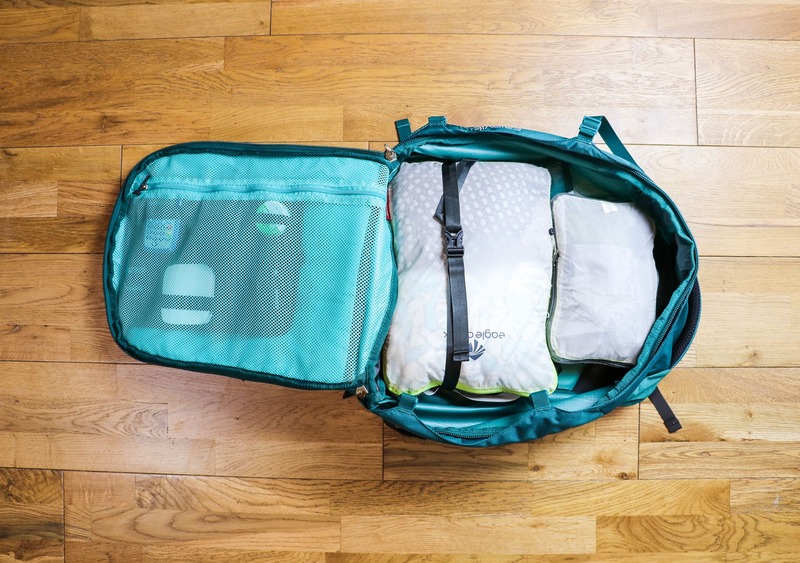 While it’s not necessary to use packing cubes with a clamshell design, we highly recommend using them to make the most of your space and give yourself some added organization. 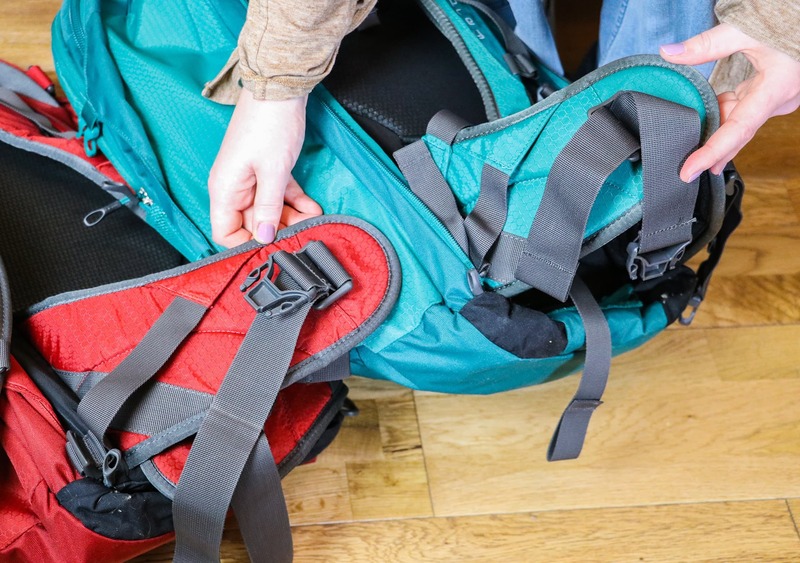 There are two compression straps within this main compartment that help with not only holding everything together when you open the bag, but also compressing your luggage so that you can zip the bag up easier. On the other side of the main compartment you’ll find a large zipped mesh pocket. This won’t fit anything bulky, but it works perfectly for slimmer items like the Cocoon Grid-It that we reviewed. Moving onto the front compartment of the bag… This area looks pretty big at first, but it’s deceivingly tight when the main compartment is full. You’ll find a bit of room right at the bottom where you can fit some chargers or a thin jumper, but it’s not padded and therefore doesn’t offer any real protection. You can find a padded laptop sleeve in this front compartment, which fits any laptop up to 15 inches pretty easily. There is also a mesh tablet sleeve which is perfect for your kindle and notepad. A downside to the laptop compartment being here is that the weight of your laptop is quite far from your back, meaning the weight distribution isn’t ideal. You always want to have the heaviest items in your pack closest to your back, so we were a little surprised to see the laptop sleeve situated here. 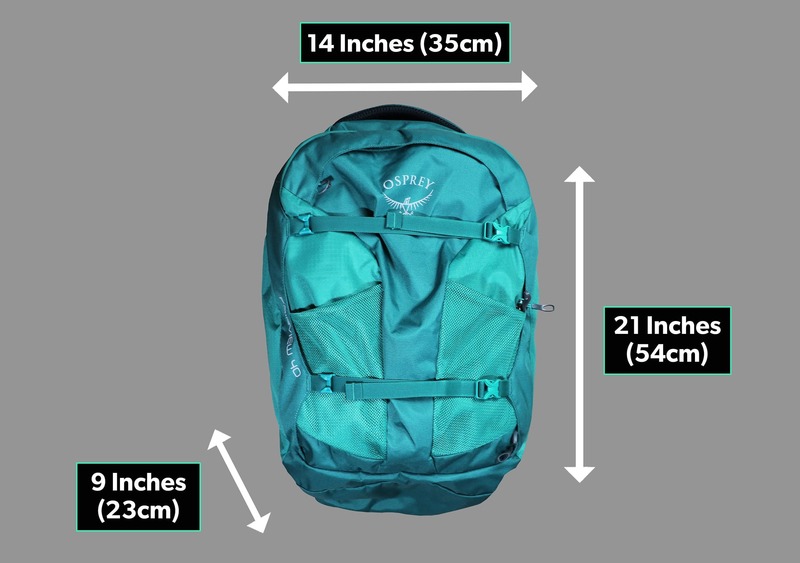 Osprey did comment back to someone that brought this question up on their website, they replied “Usually, it would be more comfortable to have the laptop sleeve situated at the back of the pack and closest to the body and in most of our other packs, this is the case. However, with the Fairview 40, as a result of the suitcase style opening, the majority of people would lie it flat. As a consequence of this, this would mean you are packing all other belongings on top of the laptop. 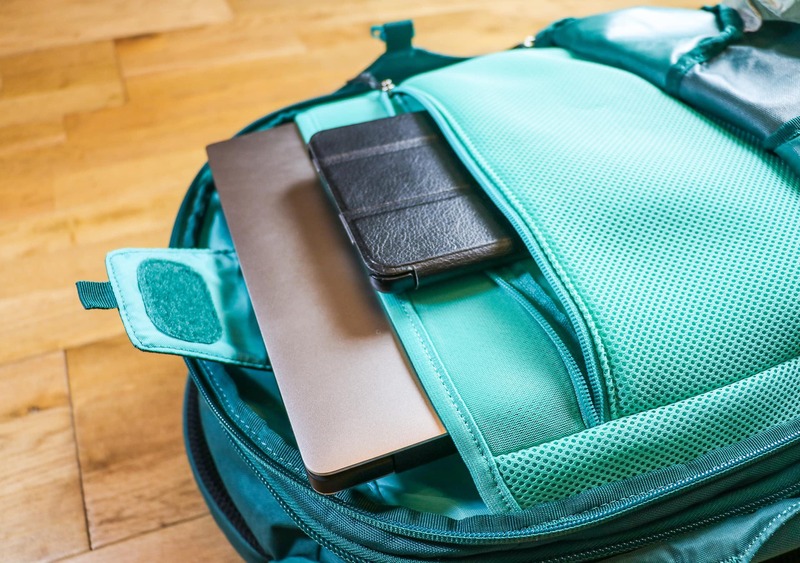 Not only does that mean your electrical items could be damaged by shoes and heavier items, it can be very difficult to easily access again.” It’s interesting to get their perspective on it, but there are loads of other clamshell bags on the market that seem to be doing well with laptop situated at the back. There’s a small zipped pocket at the top of this pack which is great for items you need quick access to—perfect for passports and wallets. This pocket is pretty wide and you can fit a surprising amount of stuff in here, but the way it curves around at the top means it’s actually quite tricky to open when this bag is at full capacity. We’ve only been testing the Fairview for three months and, as expected, it’s held up very well—no knicks, tears or scuffs to report here. 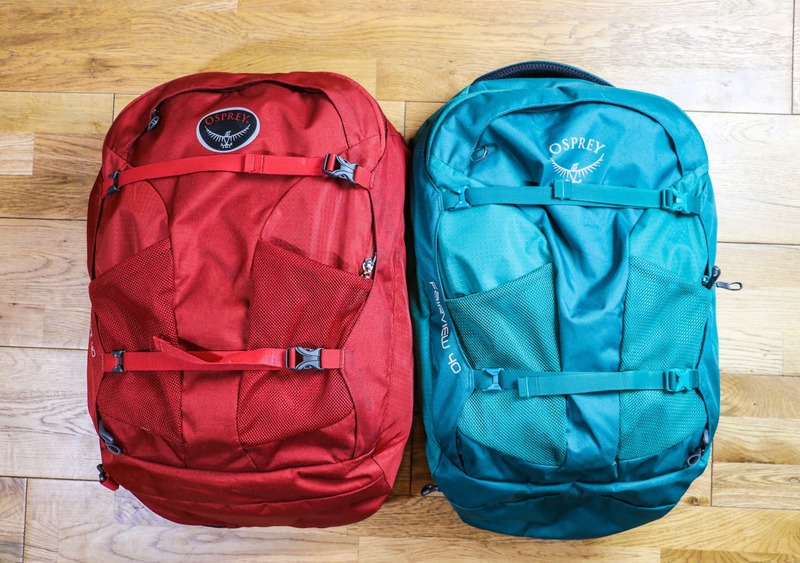 We have tested both the S/M and M/L versions of the Farpoint 40L for over a year and a half however, and after that time found some small tears in one of the bags, but nothing major. We’ll be sure to keep the usage timeline updated down below so you can see how the Fairview gets on in the future, but we have high hopes. 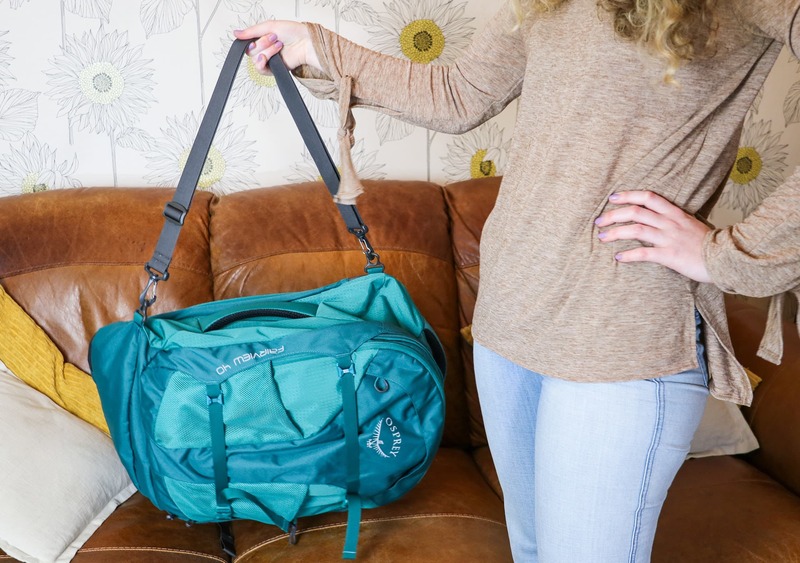 We love the fact that Osprey decided to bring out a women’s specific travel bag, and would encourage other bag makers to take note. That being said, we’re still a little confused as to why they were selling the Farpoint as a unisex bag originally, considering it was obviously designed with men in mind—they have made no changes to the Farpoint since the Fairview came out, but now it’s labelled as the men’s version. The differences between the Farpoint and Fairview are minimal at first glance, but when you’re carrying this pack at full weight you’ll notice a level of comfort that you’d never be able to achieve with the men’s version. For the travel-conscious women out there, by no means do you have to buy a bag designed specifically for women. That being said, carrying the Osprey Fairview was a pleasant surprise for the women on our team. Love the color of this bag, no break in period needed. The Osprey Fairview is still everything we like about the Farpoint—great for one bag travel, neat hideaway strap system and available worldwide—just designed with women in mind. They knew they had the right formula, so with a few small adjustments in the hip belt and shoulder straps they’ve created a bag that’s a great, comfortable carry for women. 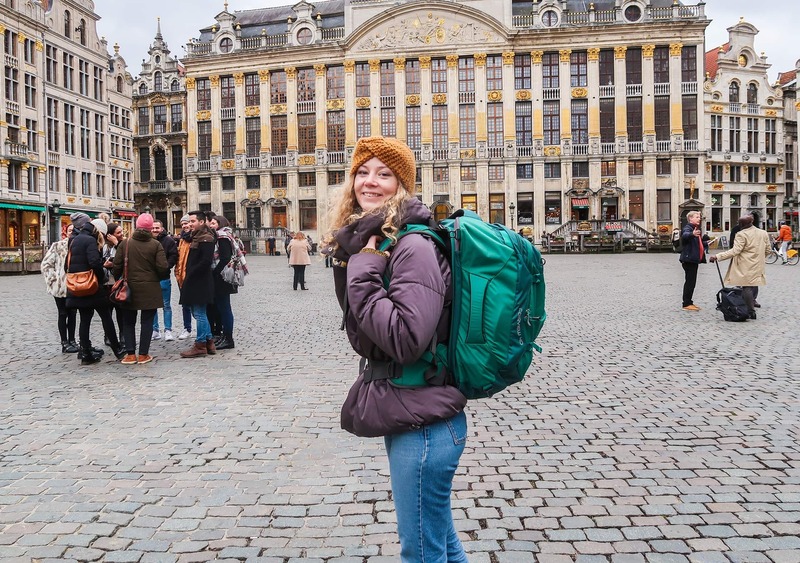 Rebecca spent 14 months traveling around Asia where she truly learned the meaning of packing light. 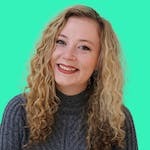 She kicked off her vlogging & blogging career after moving to Japan without knowing a word of Japanese (don’t worry, she speaks english fluently & writes plenty of great articles for us).